So What Exactly Is A Dashboard? Written by Jon Hazell on 24 October 2013 . This post is for those who are new to data visualization, business intelligence, and dashboards. For more advanced reading, check out our articles The Psychology of Dashboards or The Art of Dashboard Design. Well, an easy answer would be to say that it’s that thing in your car, usually above the steering wheel. But we’re not talking about that kind of dashboard. We’re talking about the ones that are used in businesses; healthcare, retail, manufacturing, or any industry where people want to visualize their data. "A visual display of the most important information needed to achieve one or more objectives which fits entirely on a single computer screen so it can be monitored at a glance." If you think of an organization as a person, you can think of a dashboard as the display on the health monitor for that person. Let’s say your department is the heart. You might only need to know information about the heart: heart rate, blood pressure, cholesterol levels, and let’s throw in brain activity as well - sure it belongs to a different department, but it’s pretty crucial to the proper function of what we’re interested in. Those particulars would be considered metrics or performance indicators. A dashboard displays all of the metrics that are vital to understanding our specific area of interest. What you want from a good dashboard, is to be able to understand what is happening at a glance. Dashboards exist to save you time by efficiently displaying the information that is key to you. This is a common misconception people have. They call dashboards reports because they want to display the information that they are reporting on. Reports can often be lengthy, take time to prepare, and are 'one-offs'. Dashboards are there to connect to information, and when that information changes so does the dashboard – this time delay can be on the second or every quarter. But you shouldn’t have to create a new dashboard when you need to “pull the numbers”. Reports aren’t bad. They can provide much more detailed information than a dashboard, and often dashboards can drill down into a report when people want to dive into the information further than it is being presented to them. Reports are just different and serve different purposes. We have provided a nice webinar on this very subject. Reports are the most popular form of presenting and summarizing data, because they are the easiest to create. While they are typically dominated by text and tables, they can also include data graphics. The purpose of a report is to provide a highly flexible and unconstrained means of presenting and consuming data in any form. Reports can fit into a single screen or span many pages. Analytic visualizations have become increasingly popular over the years as new technologies and improved computing power have afforded highly interactive and graphical ways of exploring data. These specialist-oriented tools are generally used by financial, business and data analysts and “power users” to explore the vast breadth and depth of datasets in a free-form environment. Analytic visualizations serve to allow people to explore, discover and analyze data, without being constrained to a specific sequence or order in which they have to access their data. People who use analytic visualizations often don’t know what to look for or how to look for it; they use these tools to discover relationships that might not have already been identified. Dashboards, on the other hand, are designed to present data and causal relationships that have already been identified so they can be monitored without requiring effort or interactivity. In a single, purpose-built and concise screen, dashboards only contain the most essential data required to achieve organizational objectives and solve the problems that its intended users face. The purpose of a dashboard is to allow people to rapidly monitor relevant and critical information at a glance, provide sufficient detail for context and analysis, and provide a fast and easy way of drilling-down to more detail. As a result, the effectiveness of a dashboard is heavily dependent on how well it is designed for its intended audience. While dashboards are becoming increasingly interactive, the effectiveness of a dashboard can be measured by the reduction of effort and time required to achieve insight. So what can you have on a dashboard? There are many different types of charts and graphs that you can use to display your data, from lines to bars, to radar. For a further look at what kind of chart types you should use and when, check out this article. Sometimes know as the pariah of data visualization (since gauges often take up too much space that can be better utilized and the data can often be better displayed in a chart) people often think of a dashboard with this visual included. Gauges are generally used for displaying performance targets versus actuals. 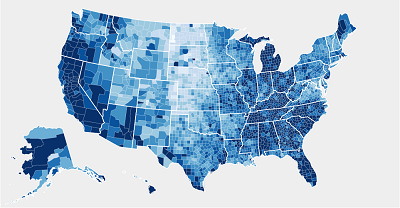 A personal favorite, maps have become increasingly popular over the year in dashboards. Geospatial data, or data that is tied to a specific geographical area is best displayed this way. There are certain best practices one should keep in mind when displaying data on maps though – especially with respect to color and gradation. While traditionally scorecards have been seen as separate from dashboards, many now include this style of visualization. For more information on scorecards and dashboards check out this article. Unlike gauges, sparklines are the darling of data visualization experts. Essentially a very small line chart, sparklines exist to display a trend over time. Take the example found within Stephen Few’s Student Performance Dashboard. They are wonderful for both saving space and telling a story – providing the viewer with useful context. State indicators provide viewers with a visible cue that draws there attention: red arrow pointing down are bad, blue arrows pointing up are good (one should always be wary of using red and green together to keep in mind those who are color blind). Now that you've had the lightning fast run down of what dashboards are, we encourage you to roll up your sleeves and dive into the dashboard world a little further by reading more of our articles in the getting started section, checking out videos and our samples gallery, or taking a look at the different vendors out there – what they have to offer and their samples. Remember, as a species we process information more rapidly and efficiently when it is presented in a visual form, so a picture is literally worth a thousand words.